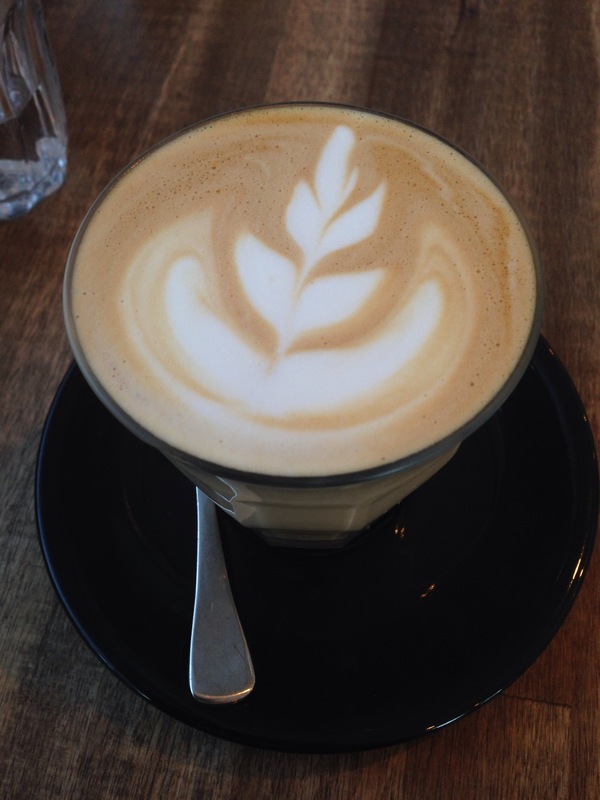 Harvest Espresso is one of my favourites, their cafe may be tiny but their flavours always hit hard. As always when they release a new menu we were quick to visit and check it out. We started with coffees, we haven’t always enjoyed theirs but this was the best we’d had from them. They were creamy, balanced and with a bold flavour hit. Now onto to the really good stuff, the food! As usual we decided to try a sweet and a savory option. There’s only one sweet dish on the menu but there’s quite a few savory to choose from. 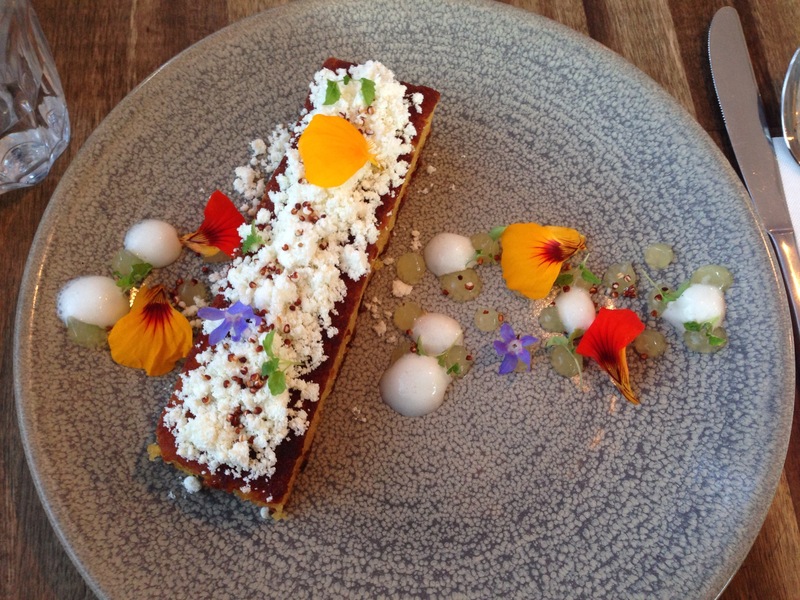 First up was the baked pineapple slice, the signature sweet dish of the spring menu. It came with lemongrass foam, yuzu pearls, a pineapple gel and fried quinoa. The slice was moist, sweet and nicely flavoured with pineapple and almond. My favourite part of the dish though was the gel, it was sweet and tart and had such a lovely texture. It really pulled the whole dish together. As always with a Harvest Espresso dish the presentation was immaculate, a veritable work of art on the plate! We also went for the gourmet mixed mushrooms, slow poached eggs, creamy tarragon, truffle pearls and pea shoots with toasted rye. 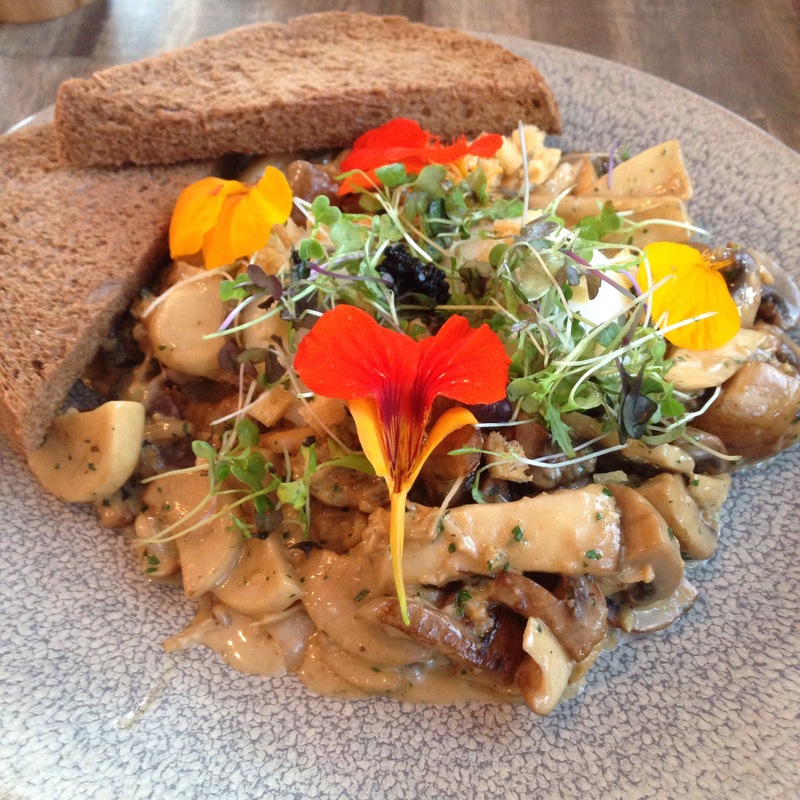 This was a very well presented dish and the mushrooms were definitely the star. The texture was good, mushrooms creamy and the croutons gave a good crunch. However we found there was just a bit too much garlic in the mushroom and it became a bit overwhelming. This dish was good, but it needed a little more nuance to reach the heights it desired. Harvest continue to impress with their innovative, beautiful and frankly dishes delicious season after season. You’ll want to check this place out for yourself!